Learning math takes practice, lots of practice. Just like running, it takes practice and dedication. If you want to be really good at all types of math, you need to practice them all. You can't trust your innate natural talent to do most of the job for you. 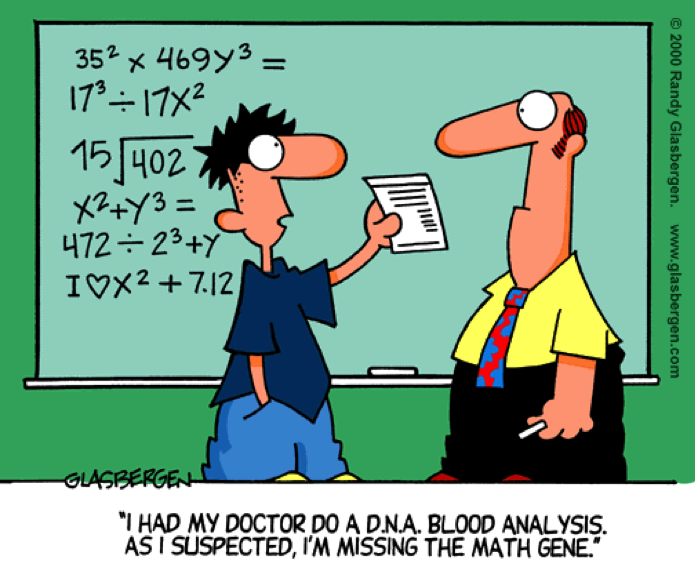 There’s no such thing as math genes! You must have heard this before, so let’s just do it. Sign into Symbolab interactive practice (free of charge) and start practicing, it’s that simple (currently available for integrals and derivatives). If your answer is incorrect try again, ask for more hints. Take your time, it’s meant for you to learn. At any time, you can test yourself by taking a quiz. Simply select Quiz from the menu (there’s a quiz at the end of each level), click Start Quiz and go. No hints this time, you will get your test summary at the end. I have spent a few hours playing over the last five days. Is there a history page for Symbolab? Thank you for using Symbolab. You can save your queries using My Notebook, at the bottom of each solution there is a Save button. Practice saves your practice history automatically. Its is a boon for those who have maths fear, the software is all in one toolbox actually gift for mankind, i would like to thanks people who developed it they all must be genius in maths. Plz fix the sign in and connecting with Facebook problem, I can't reach pages !! Hi, can you please explain what is the problem you are facing? Can you please email [email protected] with the details and we will look into it. very good, and will there be an offline mode for it? a software or anything like that? how do i read the symbols? thank you ,, its helped me doing better practising for my final .. I really like your site, and find it very useful. Thanks for keeping it fast and Free! Symbolab has triggered me to kill myself. It keeps telling me "You're the reason humans must die!" whenever i type in a problem incorrectly. please tell me how to fix this before i actually do! I would like to thank the makers and those who maintain Symbolab. I use this as a tool for checking my work as a student in college. Thank you for making this available to the world for free. I love that it lists the steps under the answer. Not only can I check my answer but I learn in the process. You guys are great! This website has helped me improve my grades and become a better math student. Thank you! Symbolab helped me a lot and continues to help me! I think it's the best math tool on the Web and I hope it will always be free. Another random person posting random and dumb links.. Math is the only subject which need too much practice. If you don’t practice so it’s mean you’re wasting your math skills. i would like to thank for this web because it helps me a lot especially my assignments in math. yeh ad wdqih wwodi qfjrc q? Math is the main subject which require excessively rehearse. On the off chance Write My Assignment for Me that you don't hone so it's mean you're squandering your math aptitudes. A very good post! Of course, you have to practice a lot to be good, but this is not only for maths. Yes without practice nothing is perfect. Read more here. We offer the best online programming assignment help and academic writing service in AUS, UK and USA. practice make a perfect is a universal truth for all the humans. Because All the practice became a big success. I will realized via your article and its a inspiring and motivating for the people. Thanks for the best article. Yes, practice make a perfect !! It's a truth. Thanks for sharing such a valuable and helpful post. It's a really helpful to all. Students who are studding in physic subject and continue looking to finish physic homework they can easily take physic homework help from the students assignment help experts. We are always ready to help you and continue working for the students to give best service every day. At studentsassignmenthelp.com students can easily get best service 24X7. so stop searching else. Very informative post. Choose NeedAssignmentHelp for your English homework help and secure an A+ grade for sure. There is no room for plagiarism in our work. Nice Information shared with us.